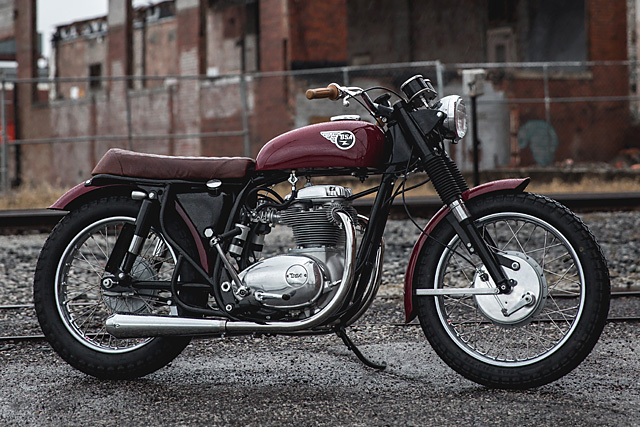 The custom bike scene, like pretty much everything else in life, has trends. Right now it seems to be BMW boxers. A while ago, every second bike we received was a CB Honda with Firestones. And back when we first started, SR Yamahas were all the rage. Now these trends come and go, but there’s one thing that we’re pretty damn sure of…. For a film about jet aircraft, 1986’s Top Gun sure got a lot of new riders onto bikes. Cruise’s Kawasaki Ninja 900 seemed to be the perfect match for his ‘Maverick’ character: fast, slick and more than a little bit rebellious. 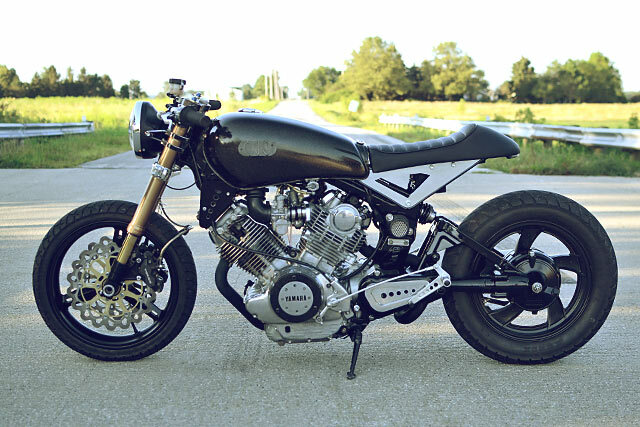 So when Ohio’s Jason Reihing from Charlie James Customs wanted to build a Yamaha XV750 with these very same attributes, it became clear that his own two-wheeled need for speed could only be called one thing. For decades, British bikes dominated the market and played the biggest role of all in fuelling the original Cafe Racer revolution. But when the Japanese hit full swing, it wasn’t long before once great companies that were household names went bust. Triumph and Norton are now back in full swing, creating modern machines and retro remakes that pay homage to their most beloved models. So with news Indian giant Mahindra have acquired the license to start producing BSA’s once again, only time will tell if they too will join the modern retro market. Should they need any further convincing that classic BSA’s have stood the test of time, they need only to take a look at this picture perfect example. 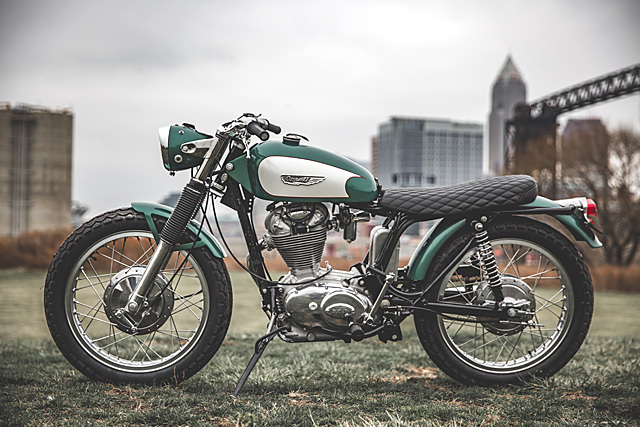 Hot on the heels of their Triumph build from last week The GasBox of Ohio deliver this stunning 1968 BSA Royal Star, built for an owner who, like us, decided one GasBox bike just wasn’t enough. As far back as the time of Babylon and Ancient Rome, public auctions have been held to sell off the spoils of war, great art and some of the world’s most valuable items. 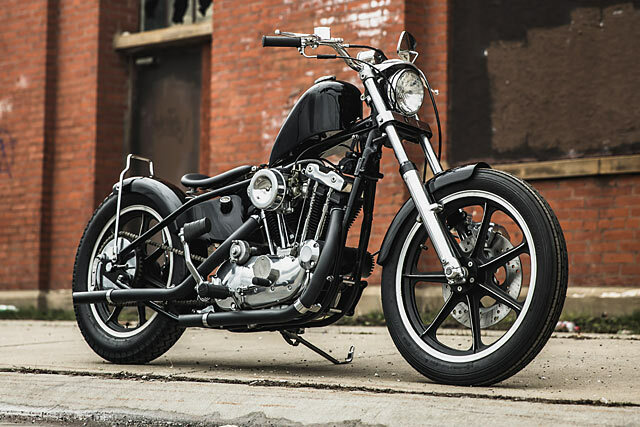 In recent years auction houses like Bonhams and Mecum have seen motorcycles sold for insane amounts of money with vintage Brough Superiors, Harleys and Board Trackers fetching up to and over a million dollars. But an auction can also be a great place to buy a much cheaper custom bike with bargains to be had and rare gems offered up. 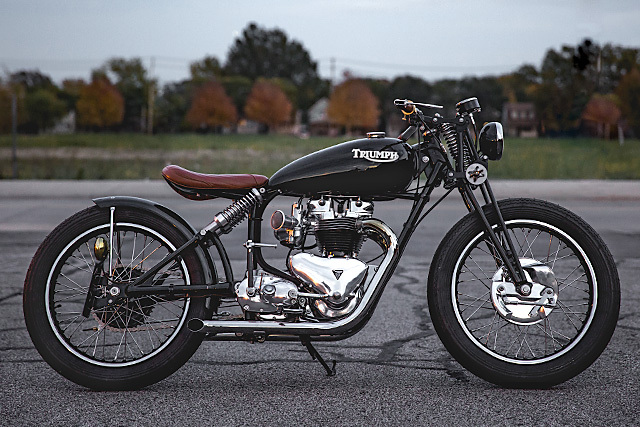 It was at one such auction in Las Vegas where Jesse Basset of The GasBox met Kirk, a future client and owner of this incredible 1960 pre-unit Triumph TR6 sprung bobber. Kirk was there to buy; in fact he was bidding on another of Jesse’s creations, a perfectly timeless Indian. But auctions can be cruel and the excitement can end in sudden disappointment – and that’s just what happened here. And although Kirk missed out on the Indian, his meeting with Jesse would soon yield some delicious spoils all his own. 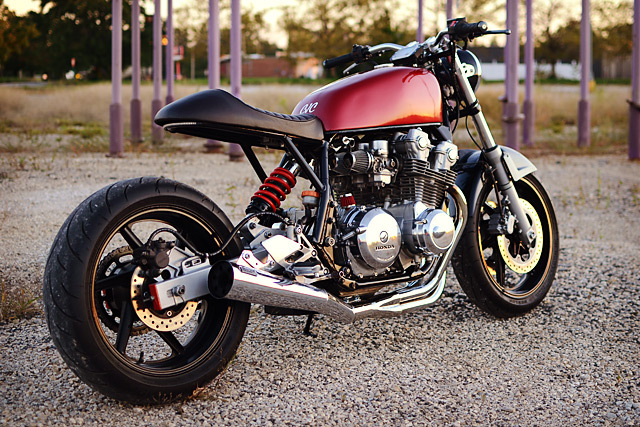 Bike builders often become known for creating particular styles of motorcycles. Maybe they have an affinity with a particular marque or a signature element to their builds, such as big horsepower or amazing paint. But Jesse Bassett of The GasBox in Ohio has just one simple word that describes every build he has undertaken and continues to create. “Perfection”. If you want a custom bike built with many a corner cut in just a couple of weeks, then Jesse isn’t your man. But if you desire motorcycle nirvana, where your builder ensures every nut, bolt and washer is to the highest of standard and torqued to exact specs then Jesse has you covered. 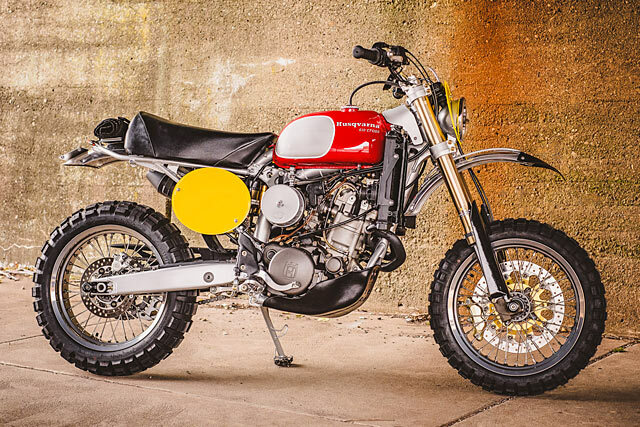 So when a customer from Maine saw this 1970 Ducati 350 Scrambler on the GasBox website advertised as a potential project he knew he had the bike and the man to build his ultimate ride. There was a time when the big manufacturers didn’t wish to be at all associated with the custom scene. Racing? Definitely! But smartarse grease monkeys? No thanks. But so big has the revival of the custom scene become, that global corporations are now turning to the very group they once shunned to lead the marketing of their new models. 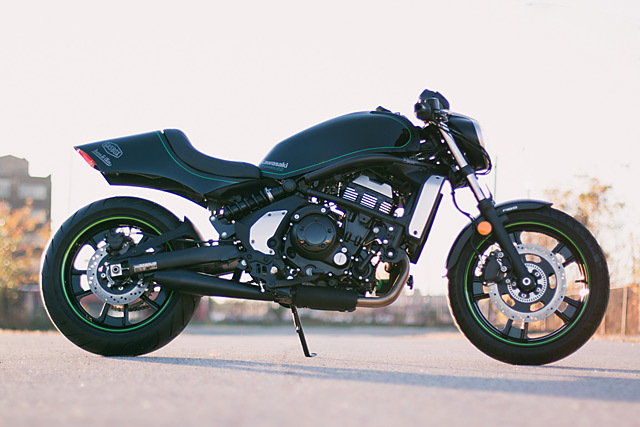 For Kawasaki, it comes in the form of their Breaking Boundaries Build-Off that tasked four fantastic builders with the challenge of doing something truly unique with their newest Kawasaki Vulcan S model. The manufacturer tapped Steve Howell with Iron & Air Magazine on the shoulder and they called in one of the industries best builders to spin the spanners; none other than Jesse Bassett from Ohio’s The GasBox. 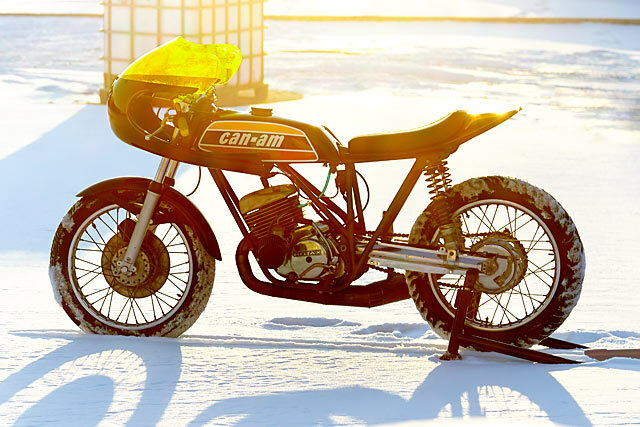 Though primarily a bike wrecker, Jason Reihing has built his fair share of customs out of his small one man workshop, Charlie James Customs, in Williston, Ohio. ‘Every old car, ATV and motorcycle I’ve restored, rebuilt or modified, I’ve felt them wanting to come back to life,’ Jason explains. ‘But this bike was the opposite. I’ve named it ‘Micky’ after the boxing great Micky Ward as, like him, this bike is a fighter. 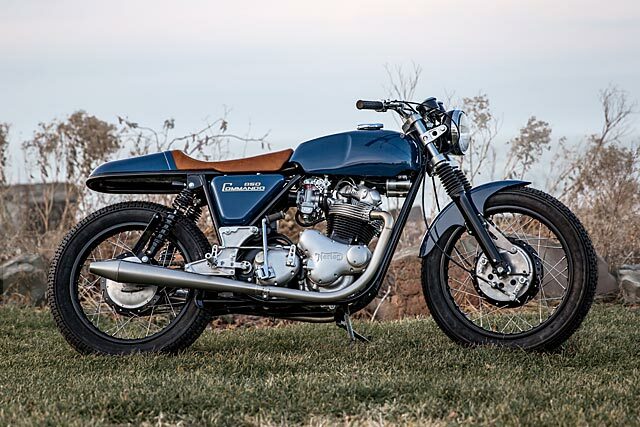 Throughout the build I had a feeling it would have been happier sitting out the back of someone’s barn and rotting away.’ Thankfully Jason has the tenacity and skill to roll out something as pretty as this CB after just about everything went wrong during the build process.